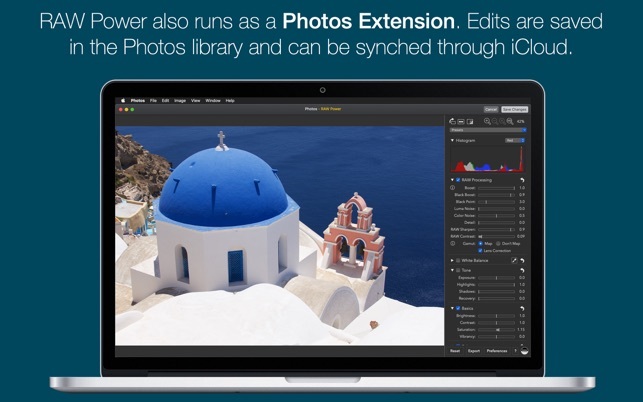 — Extends Apple's Photos app for macOS High Sierra and Mojave and runs as a standalone photo editor with file browser. 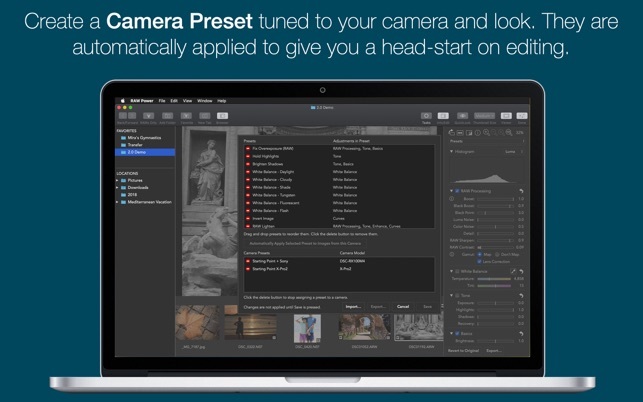 — Supports iPhone RAW images and other DNGs as well (DJI and a few other cameras excluded). Requires macOS 10.13.6 or later. 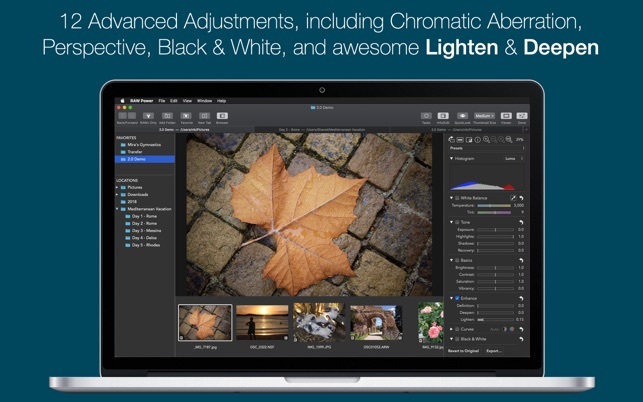 - Improve export and zoomed quality when combining straighten with other adjustments. - Fix for crash when using Lightroom Plugin. - New Moiré reduction slider in RAW Processing. - Improved interface for entering precise values into adjustment text fields. 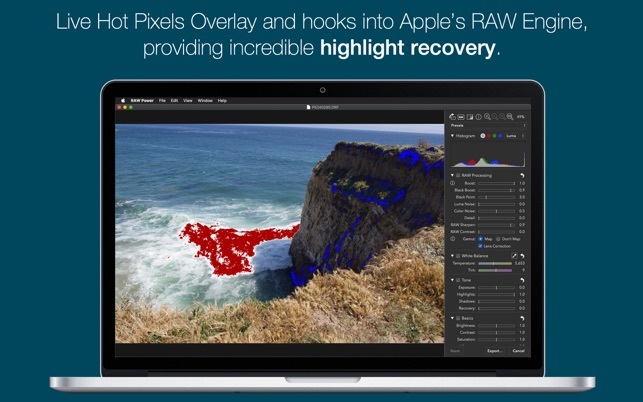 - Fix bugs related to the Lightroom plugin. - Bug fixes to the built-in help system. I use ACR and Photoshop CS6 for RAW conversion and Bridge as my cataloging program. I will never buy into Adobe’s subscription program. I bought this program as insurance against not being able to run CS6 in a future Mac OS version and on the basis of reviews here and elsewhere. I cannot honestly tell if its any “better or worse” than ACR/PS in terms of the quality of processed RAWs which are all from my D800E and are very clean to begin with. I’ll continue to try its capabilities, but I’m not quite comfortable in it yet. I believe the program has one glaring omission - It allows the user to adjust the background behind the image from default black all the way to white, but the background of the controls area is all black and can’t be changed. I HATE to work on a black screen. It’s childish and appeals to people who have no experience in graphic design. PLEASE include the option of varying that background! If the window size of the program is less than full screen, all the controls cannot be seen. There is no way to scroll the area to reveal controls toward the bottom. The entire window must be enlarged to see them! Not good. Additionally, the boxes and slider controls in that area are very “un-Mac like” and are inelegant and crude looking. Thank you for your review. Version 2.0 (a free upgrade) has a large number of improvements. In addition there are some UI changes. The edit panel is no longer black (it matches colors used in macOS Mojave), and the scroll bars appear in a more standard fashion. v1.0 was a very capable tool for quickly making adjustments to RAW images in a non-destructive way (it remembers the adjustments you make to a RAW file, including cropping and straightening elsewhere). No nonsense. v2.0 adds a lot of the useful browsing capabilities of a tool like FastRAWViewer and adds some really useful tools for batch processing and copying adjustments from one image to another (although I haven't quite convinced myself the latter work properly yet — but if there are issues I know the developer will fix them really quickly). Probably the main thing I miss from Lightroom is the clarity adjustment, although Enhance > Definition seems to do some of the same stuff. I still find the crop/straighten process a little but clunky, but it's not a deal-breaker. - ability to quickly preview the current image full screen with no distractions (this is what the "quick look" button should do, and it should have a keyboard shortcut, like "F"
- in addition to hot/cold pixels, how about a sharpness overlay (like FastRawViewer)? 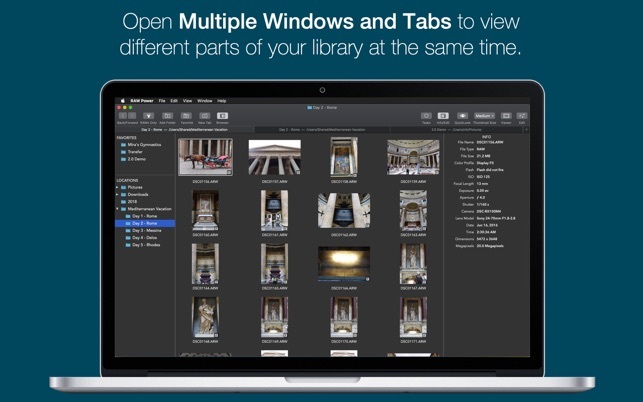 - you can't see photo metadata (e.g. exposure settings) when you're editing the photo. Ideally just move the metadata display to the left and make it collapsible. I have kept using Aperture, my favorite RAW converter app, for years after Apple killed it because I could not find anything else I liked. 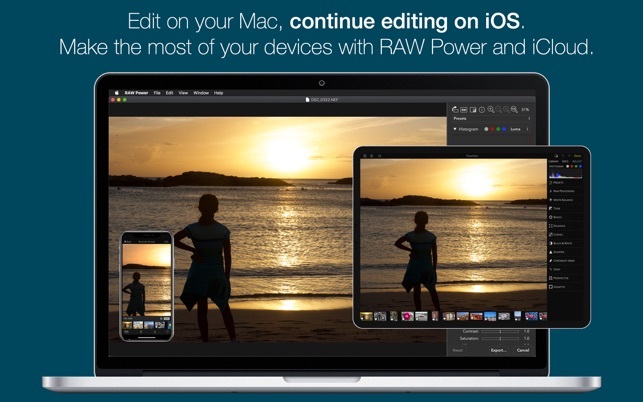 While RAW Power does not have Aperture's DAM, it comes close with the editing features it had and in some ways it is better. Very simple and easy to use. One of my favorite things is it has most of the same keyboard shortcuts I used in Aperture which makes me feel right at home. Being able to copy my adjustments from one photo to multiple others really saves me time. I also like that I can customize my own presets that can be applied to my incoming photos. I orginally was going to use it as a plug-in with Photos but I am now using it as a stand alone app because of it's new browsing feature.